Heinrich Himmler was Reichsführer of the Schutzstaffel (Protection Squadron; SS), and a leading member of the Nazi Party (NSDAP) of Germany. Himmler was one of the most powerful men in Nazi Germany and among those most directly responsible for the Holocaust. He developed the SS from a mere 290-man battalion into a million-strong paramilitary group, and, following Hitler's orders, set up and controlled the Nazi concentration camps. He was known for good organizational skills and for selecting highly competent subordinates, such as Reinhard Heydrich in 1931. From 1943 onwards, he was both Chief of German Police and Minister of the Interior, overseeing all internal and external police and security forces, including the Gestapo (Secret State Police). Himmler had a lifelong interest in occultism, interpreting Germanic neopagan and Völkisch beliefs to promote the racial policy of Nazi Germany, and incorporating esoteric symbolism and rituals into the SS. On Hitler's behalf, Himmler formed the Einsatzgruppen and built extermination camps. 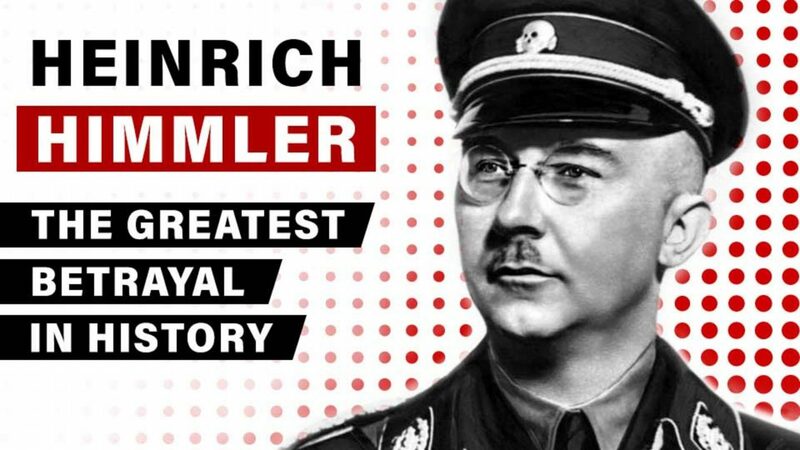 As facilitator and overseer of the concentration camps, Himmler directed the killing of some six million Jews, between 200,000 and 500,000 Romani people, and other victims; the total number of civilians killed by the regime is estimated at eleven to fourteen million people. Most of them were Polish and Soviet citizens.